UNITED NATIONS, New York – At a side event of the 47th session of the United Nations Commission on Population and Development, leaders and experts highlighted the key role of midwifery in drastically decreasing maternal deaths and providing crucial services for societies as a whole. Ms. Tanja Rasmusson, Sweden’s State Secretary for International Development Cooperation, noted that political will is needed to further reduce maternal deaths. “Societies have to decide that it’s worth it to invest in a woman’s life,” she said. Co-organized by the Permanent Missions of Afghanistan and Sweden to the United Nations and the H4+ – a joint effort to improve the health of women and children by UNAIDS, the UN Population Fund (UNFPA), UNICEF, UN Women, the World Health Organization, and the World Bank – the event showcased successful midwifery approaches used in Afghanistan and Sweden. Both approaches have led to reduced maternal mortality and improved health outcomes for communities. Sweden managed to drastically lower its maternal death ratio by using the services of midwives, providing contraception and abolishing the conditions that led to unsafe abortion. 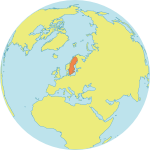 In the 18th century, Sweden had about 900 maternal deaths per 100,000 live births. This figure is now around four per 100,000 live births, according to the 2013 State of the World Population report; it is among the lowest in the world. To achieve a similar reduction elsewhere in the world, more investments are needed, Ms. Rasmusson said. Dr. Ahmad Jan Naeem, Afghanistan’s Deputy Minister of Public Health, said that his country’s maternal death ratio has dropped by about three quarters while skilled birth attendance – deliveries that take place under the care of a doctor, nurse or midwife – has tripled since 2002. Much of this can be attributed to a health services strategy that places a special focus on community midwives. “Midwives are the backbone of Afghan reproductive health services,” Dr. Naeem said. Afghanistan is now planning to step up the education midwives receive, from community-based midwifery courses to bachelor’s degree programmes, to be followed later by master’s degrees programmes. Ms. Mursal Musawi, Executive Director of the Afghan Midwives Association, also stressed that education was of paramount importance for midwives in Afghanistan. Midwifery does not only improve the health of women, Ms. Musawi noted; it also promotes their political and social empowerment. Essential for the midwife’s work is being sensitive to women’s needs, which includes understanding and respecting their human rights. “Nothing will be of any good if we are not being sensitive to the women’s needs,” said Ms. Anna Nordfjell, International Secretary of the Swedish Association of Midwives. Ms Nordfjell also highlighted three elements necessary for midwifery to be effective: education, providing services for women where they live and respect for midwives by the community. Mr. Sennen Hounton, UNFPA’s Technical Advisor on Reproductive Health, said that bringing United Nations agencies together under the H4+ initiative has brought about notable achievements. Success stories like falling maternal mortality in Afghanistan and Ethiopia – where maternal death has fallen dramatically in recent years – are directly linked to the H4+ and its activities in more than 30 countries. Midwifery is also important for the prevention and early management of obstetric fistula. “We understood that the midwife is the critical person that we need to invest in,” he said. The first State of the World’s Midwifery Report in 2011, a flagship publication by the H4+ and partners, coordinated by UNFPA, complemented the United Nations Secretary-General’s Every Woman Every Child initiative and helped to increase investments in this field.